In social studies class, I had to do a project on a country in Africa. 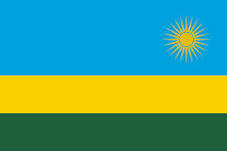 I got to choose which country I wanted to do and I chose Rwanda. I want to help. In Rwanda they do not have clean water. They are not lucky enough to have running water like we all do. The water that they drink is polluted. When you donate, you are donating to a well. They will all have fresh water in that community. You will help make the people in that community more educated and healthier just by the help of your donation. 12/11/13 Danielle Page $46.00 Great idea Anna! Thanks for sharing it with us! Can't wait to see you! 12/08/13 Eliza Giroux $23.00 Good job Anna.....good luck reaching your goal! 12/03/13 Ronna Smith-Craig $115.00 So proud of you, Anna - what a good cause to promote! 12/02/13 Adele Acheson $460.00 We are proud of your efforts Anna! 12/02/13 Paulette Loe $115.00 Wonderful idea, Anna! My school also has a water funding project going!